Tom grew up showing pleasure and halter horses but soon caught the cutting bug as a teenager. He won several amateur cutting titles in MN, ND, and Iowa at a young age. His love of horses took him to Texas for six years where he trained under two world champion cutting trainers. 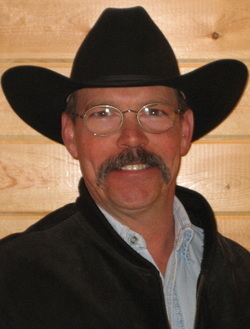 Tom has trained several Area 6 Futurity Cutting Champions and is a strong money earner with the National Cutting Horse Assn. 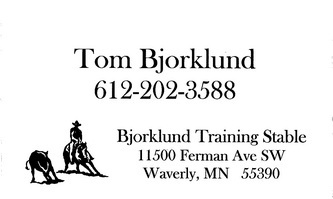 Tom currently trains and teaches out of his barn in Waverly, MN, and is now a certified clinician/judge for the NVRHA.